Austin Preservations, specializes in preserving flowers from all events, from your wedding bouquets and memorials to any flowers that have special meaning to you. With expertise in freeze-drying flowers, we are able to create a one-of-a-kind floral keepsake to be cherished for a lifetime. Your floral keepsake can be designed for the contemporary bride as well as the bride who loves Traditional or Victorian decor and every style in between! With our wide selection of frames, domes, shadow boxes, glass boxes and price ranges, it will be easy to create a custom, beautiful piece that you will cherish for a lifetime. We are your local freeze-dried floral experts for preserving flowers from your special occasions. 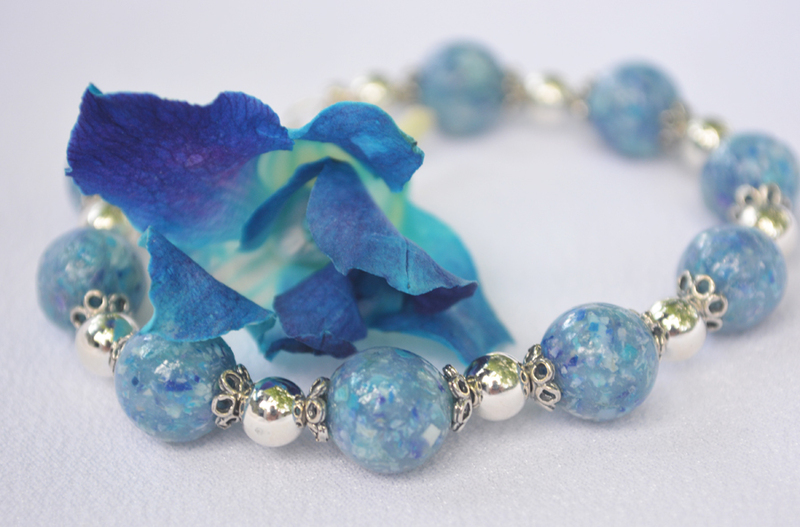 Our Treasured Blooms Jewelry is made from the flower petals of your flowers to create beautiful beads. This is a wearable memory from your event. Austin Preservations is a proud authorized dealer for the Wedding Gown Preservation Company.